Today marks 19 years since I walked down the aisle and said “I do” to the man of my dreams. I was a whole whoppin’ 18 years old, but y’all. My heart was head-over-heels. So today, I thought I’d share a few tips for lasting 19 years and being more in love than ever before. Tip #1 – Laugh. Often. Like, seriously. Life is too short. Make jokes. Tickle. Sing at the top of your longs off tune on purpose just to annoy kids in the back seat. Try on silly hats. Watch funny Youtube videos together. I don’t care what you do, but make sure you have FUN together and exercise those laughter-skills often! Tip #2 – Kiss. Often. Sometimes it’s just a little peck to say I love you, but don’t forget the window-fogging-up and toe-tingling kinds too! Tip #3 – Forgive. Every time. Life is too short to stay mad and hold a grudge. Tip #4 – Challenge your perspective. There is such value in not digging in your heels but instead, taking a step back and trying on your spouse’s glasses (not literally–I’d be blind with my hubby’s glasses…) to see things from his perspective. Things look a lot different over there. And the more you try on their glasses–the more they will start to be curious to try on yours. 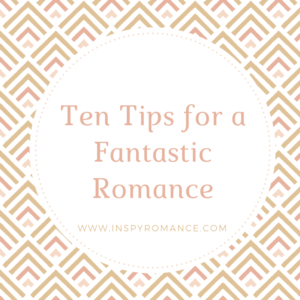 Tip #8 – Did I mention to kiss often? Regardless, it’s worth mentioning twice!!! Tip #9 – Budget together. I’m serious. Experts say that money issues are one of the biggest stresses and problems in marriages. Take an hour or two once a month to make a budget for the next month–and then honor your spouse by sticking to it. Have a spouse that doesn’t always stick to it? See tip #3 and maybe #4 too. Tip #10 – Jesus. Don’t forget Jesus. Pray together. Read your Bible together. Go to church together. Talk about what God is teaching you or speaking to you. Anyone have any tips to add?? Hi Krista and Best wishes on your anniversary. Excellent tips. Tips #1, 4, 5, 6 got hubby and I through some difficult times in our 45 years of marriage (30 in the ministry) – change in jobs, 12 moves in five cities (2 states), a house fire, three children and more. My tip is Love is a choice, even through the difficult times. Love is the commitment for the long run. That is why Tip #5 is so important – to accept what we cannot change. Thanks for sharing this thought provoking blog. Enjoy your day. Glad I flipped over from email out to read your full article. Your enthusiasm is contagious! Great tips. Always wonderful to hear from couples who’ve stuck it out. It’s worth it. I believe that. Beautiful words to live by!! Really great post, Krista. You aced it. I’ll add spend time together doing something you both enjoy as well as my favorite, long hugs. I feel myself relax when my husband hugs me after a long day of work. I’ll add: appreciate each other. Say thank you often… for anything and everything, but especially for the sacrifices your spouse makes for you and your family. For being there, loving you back. Great tips. This is a tip for tip #3. When my husband does something to annoy me, I try to remember all the things that I do that must annoy him. No one is perfect. Grace, grace, more grace. Twenty-eight years and counting. I still love him every day, all day! Great post, Krista! Happy Anniversary! I would add – give way.